Description :- This Broaching Device is designed to firmly hold miniature parts, watch hands, rollers and cannon pinions, to be broached. High quality manufactured for strength and durability. 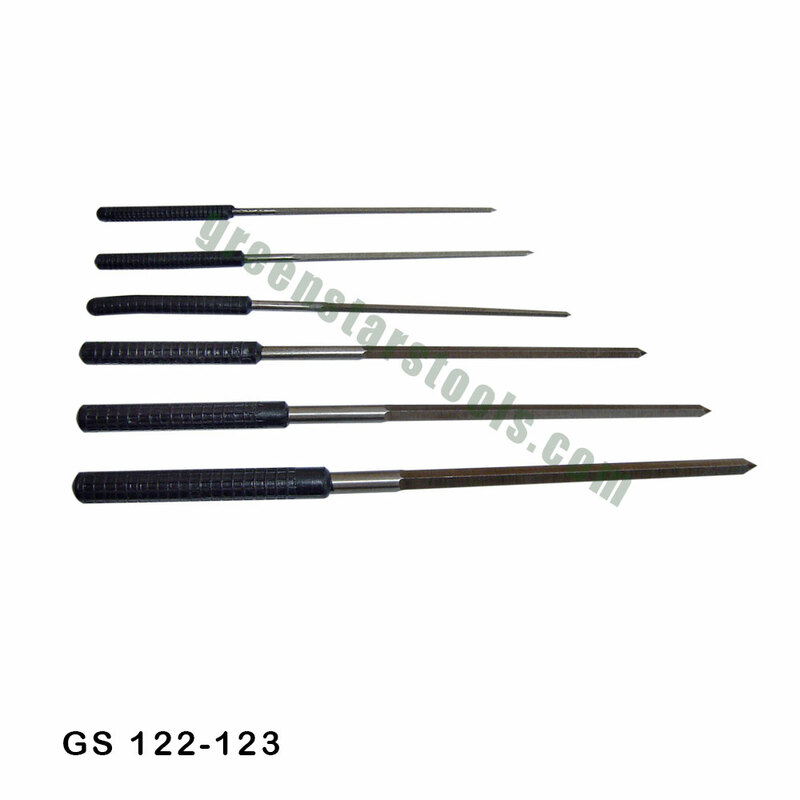 Description :- These clock broaches with handle are excellent tool for clock repair. High quality manufactured and durable. 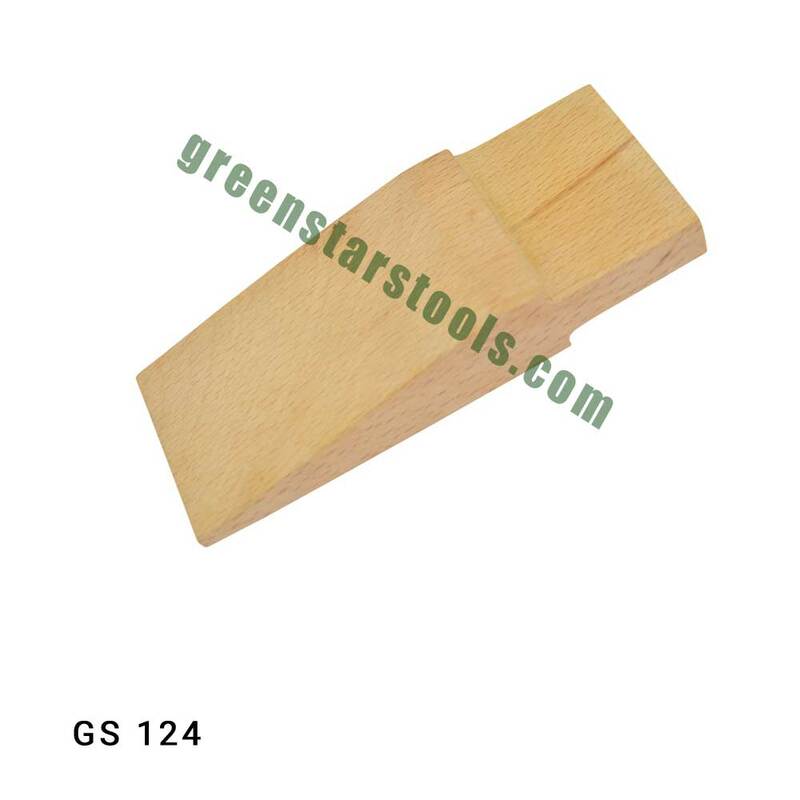 GS 124 Bench Pin Wooden(To Suit Ref No. 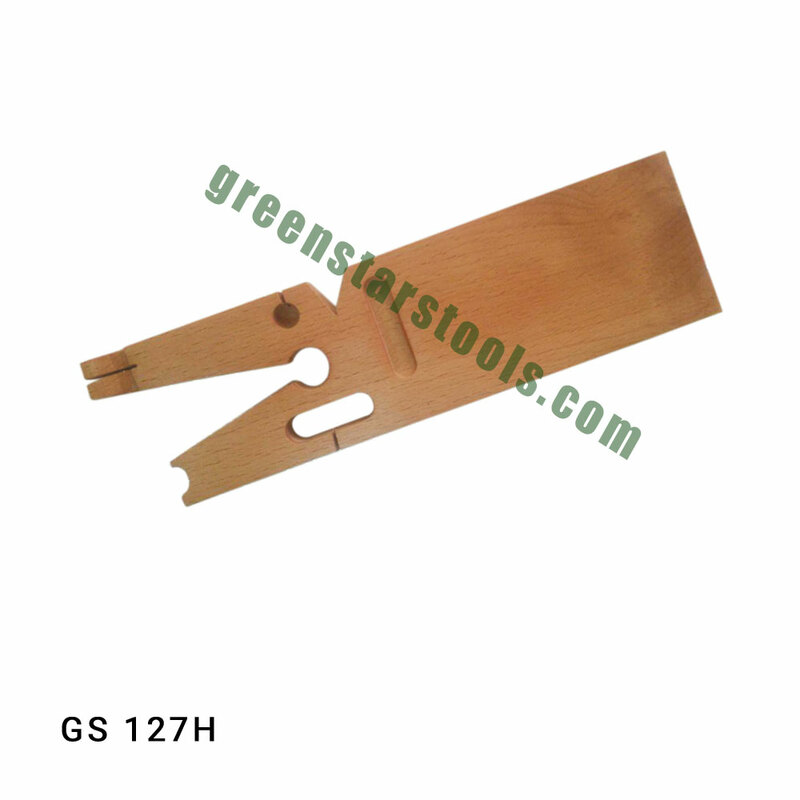 GS 130) 5-1/4" X 2-1/4"
GS 125 Bench Pin Wooden 6-1/4" X 2-1/4"
GS 126 Bench Pin Wooden 7" X 2-3/4"
GS 126A Bench Pin Wooden 4" X 2 1/2"
GS 124 Bench Pin Wooden (To Suit Ref No. 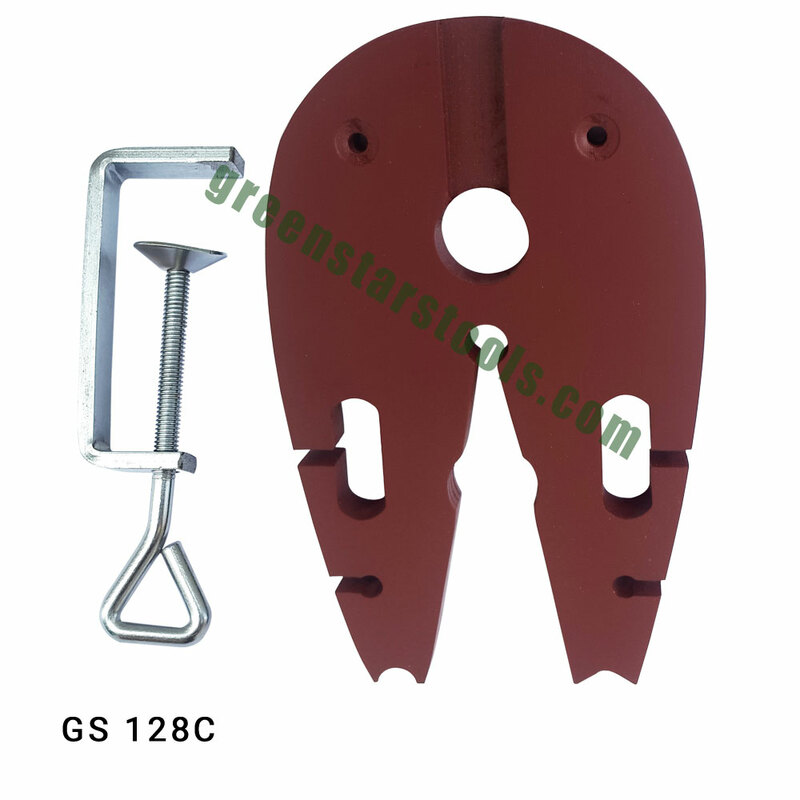 GS 130) 5-1/4" X 2-1/4"
Description :- standard V-slot along with a smaller V-slot, an oblong hole for sawing small parts that would be difficult to hold in the V-slot, 5 vertical semi-circular channels on one side, and 3 domed depressions on the other. The tang is 2-5/8" long by 1" dia. (67 x 25 mm), and the remainder of the pin is 8" long x 2-3/4" wide x 1-1/8" thick (203 x 70 x 69 mm) with a tapered end. 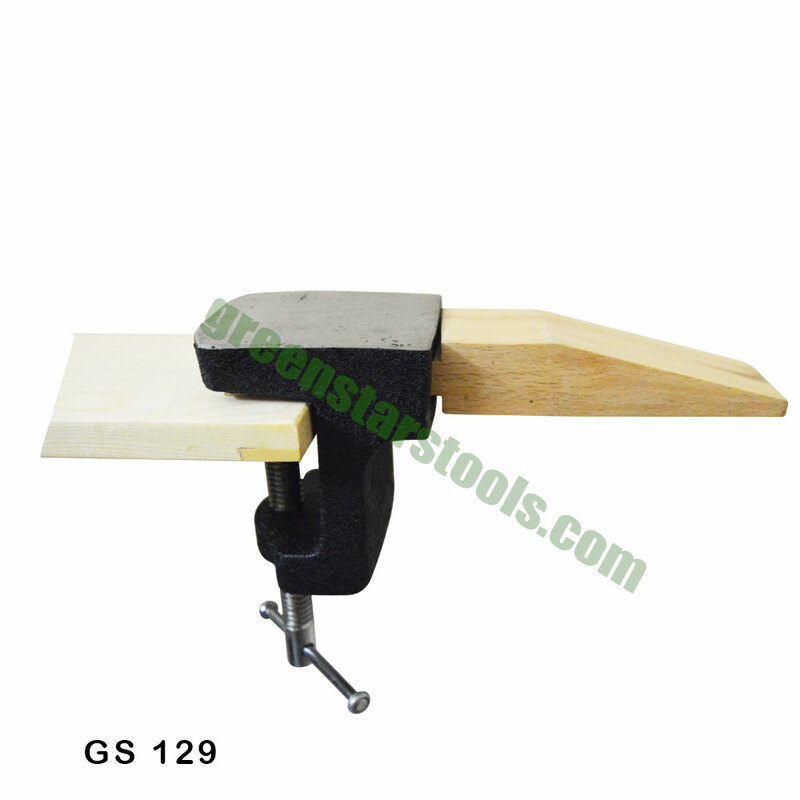 Description :- This is Indispensable tool for any workbench. 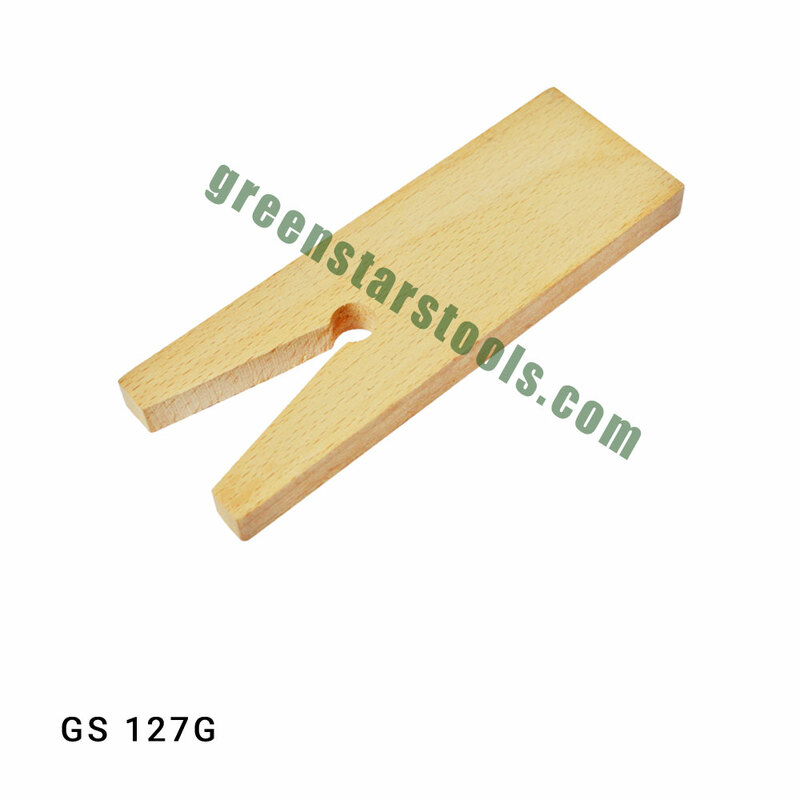 This bench pin is made of fine hardwood and Smooth finished all over to fitting slot in work benches. It is available in T type shape. 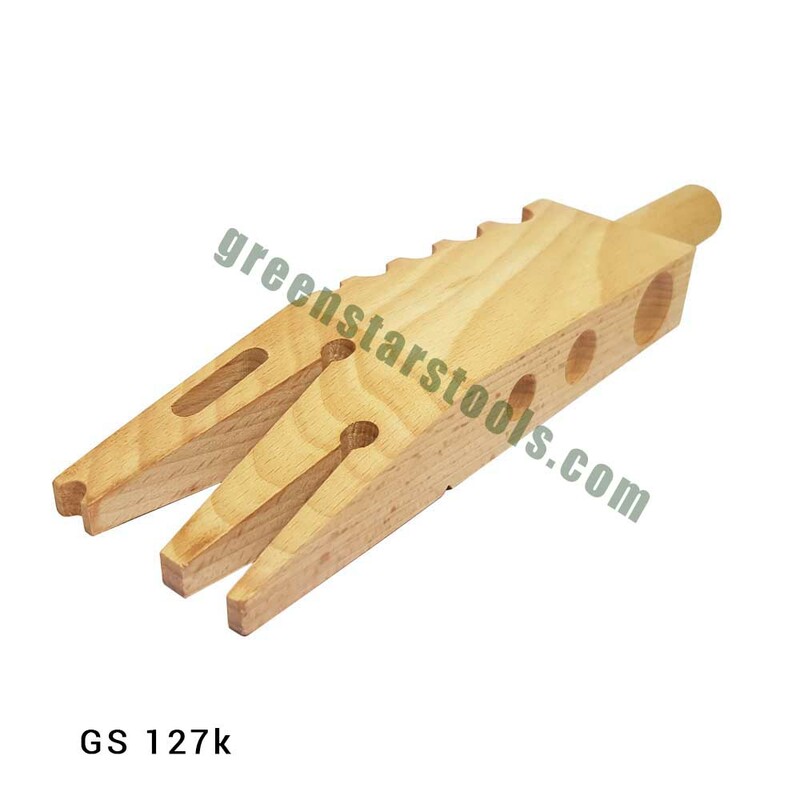 Description :- This Bench pin has the combination of a smooth anvil with replaceable wooden pin. It is used for supporting pieces being flattened, and laying out work. Great tool for the Jewelers. 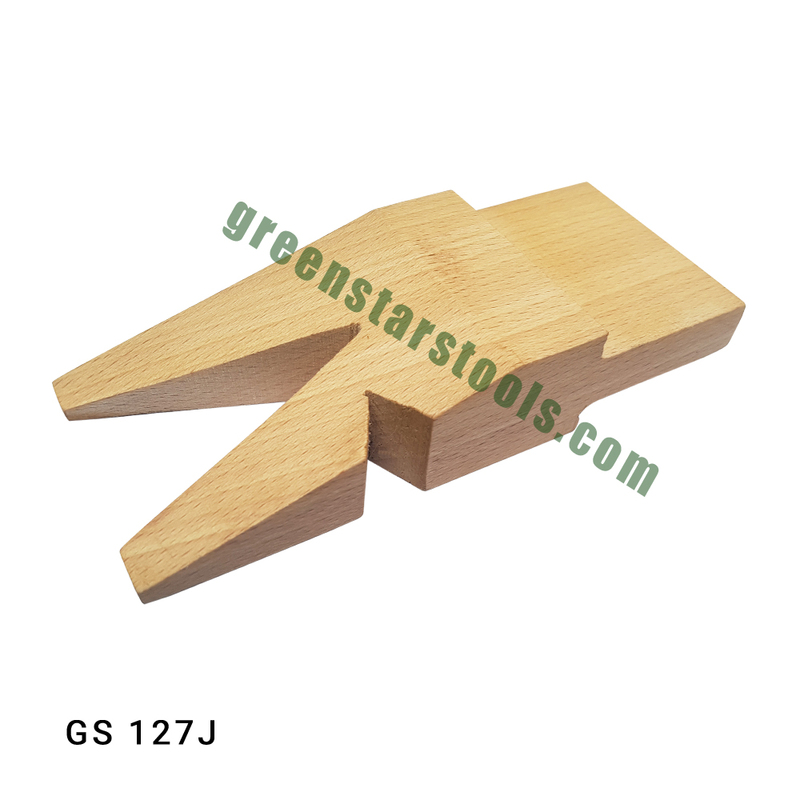 Description :This Bench pin has the combination of a smooth anvil with replaceable wooden pin. 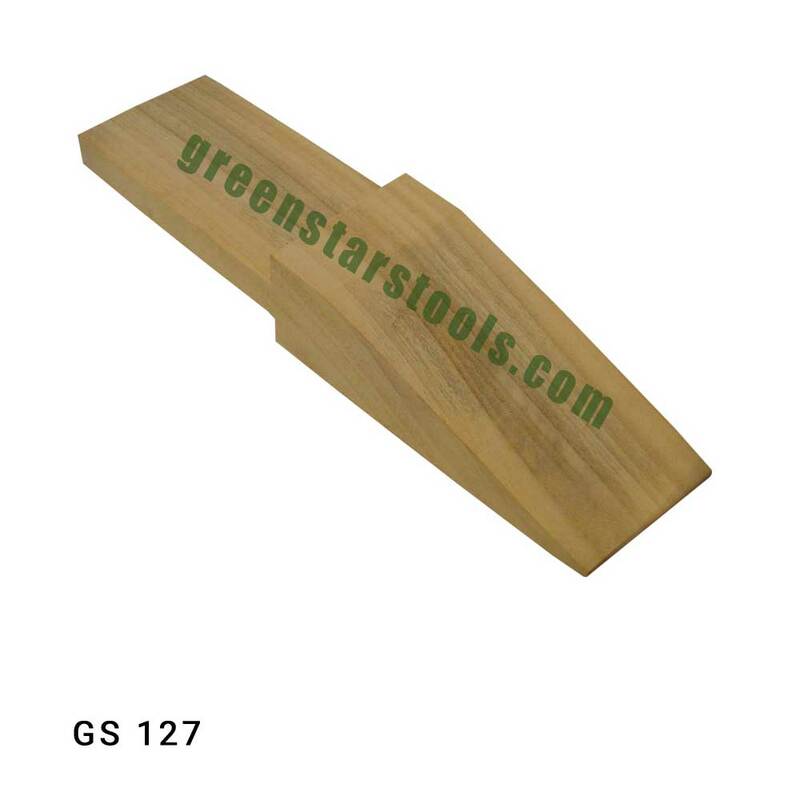 It is used for supporting pieces being flattened, and laying out work. Great tool for the Jewelers.